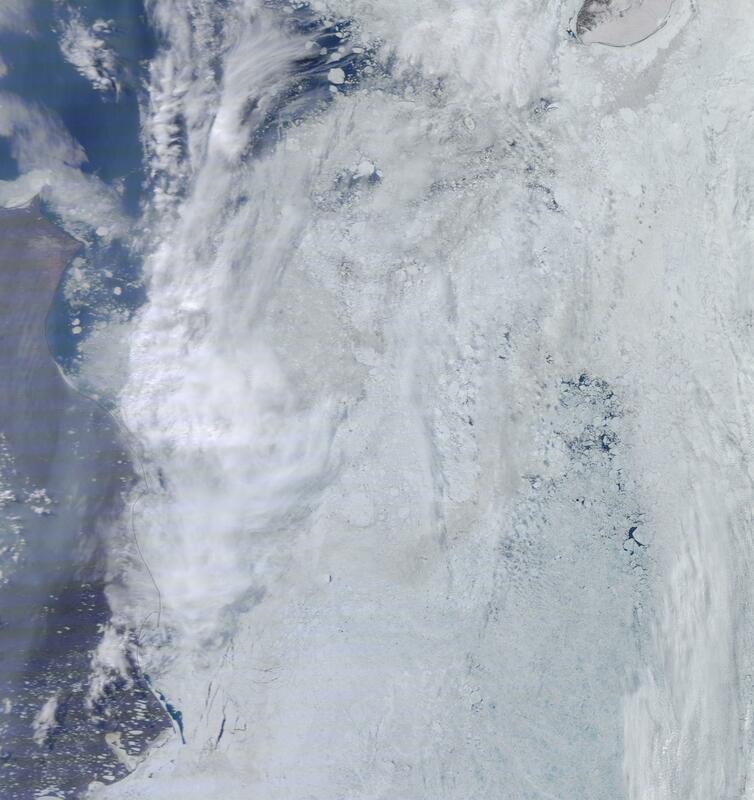 Sea ice break-up, characterized both by melt and off-shore movement of surface ice, has now occurred off Barrow, Alaska. 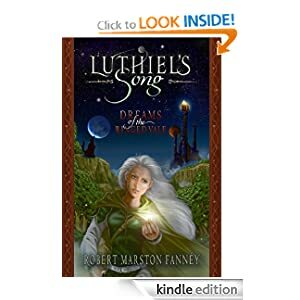 The event usually happens around July 8th. Since break-up was confirmed by visual yesterday, we are about three weeks early. If you want to see the video of off-shore ice breakup and movement, you can view it here. 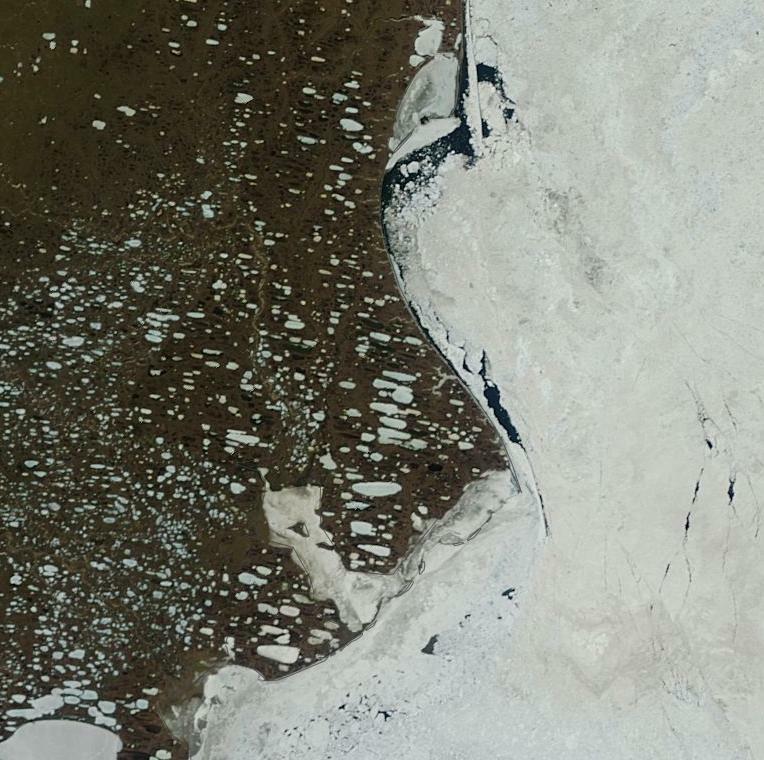 Satellite images provided by Lance-Modis shows break-up and off shore ice motion between the days of June 19 and June 20. 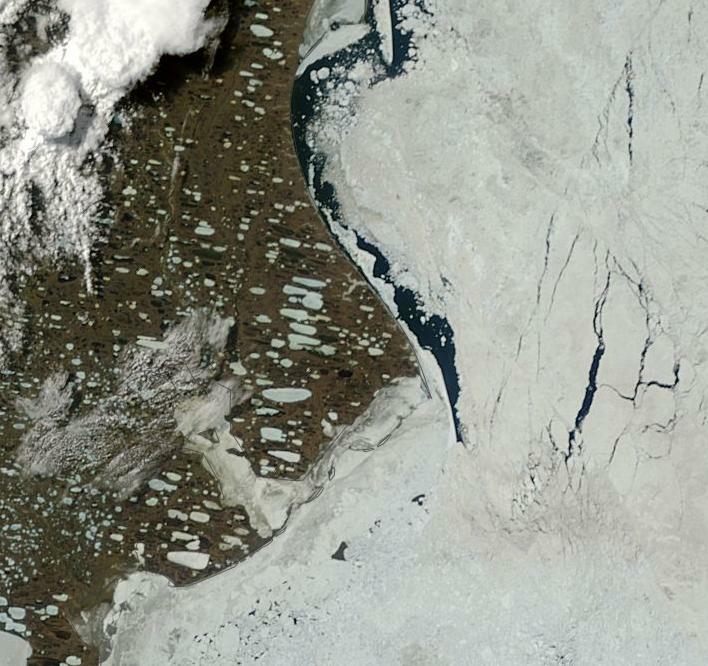 This early ice break-up off Barrow came in conjunction with a powerful Alaskan heatwave that sent temperatures in some places to the high 90s. Barrow didn’t experience the same extremes of temperature, but it did see highs in the 50s and 60s on some days. When temperatures usually hit highs around 39 degrees during this time of year, consistent highs in the mid 40s to the mid 60s is a heat-wave. And that’s what we’ve seen for more than a week now. Today’s high for Barrow is supposed to top off at around 50 degrees. 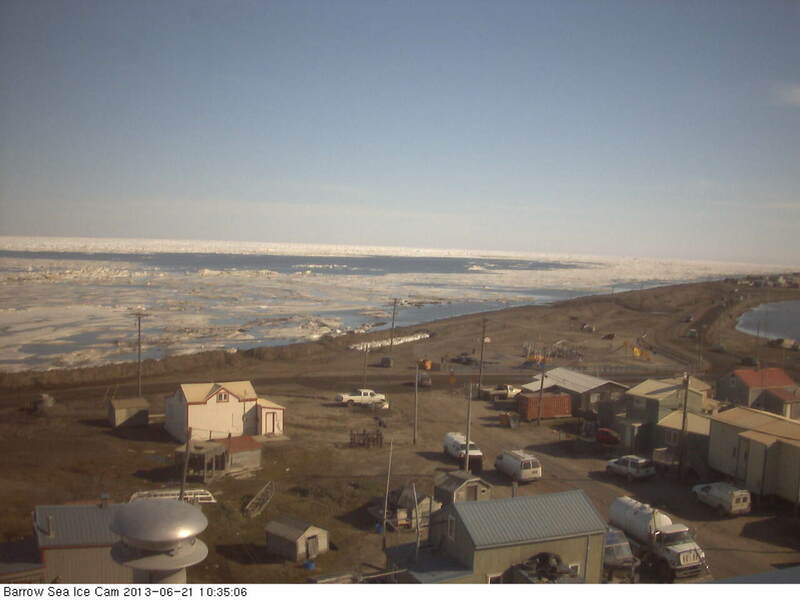 Barrow may soon see ice-free seas as a rapidly expanding melt front advances through the Chukchi and into the Beaufort Sea over the coming days. This region of melt hosts much higher than above average water temperatures that were likely fueled by the recent Alaskan heatwave which pumped air temperatures in Prince William Sound above 90 degrees. A pulse of warmer water feeding from Alaska’s estuaries and into this growing body of ice free area is likely fueling above average water temperatures. Expect a large area from Barrow to Wrangle Island to be vulnerable to rapid melt as this front of warmer ocean water advances northward. The image above shows this region of open water advancing along the north coast of Alaska and into a region of the Beaufort and Chukchi Seas off shore on June 21rst.